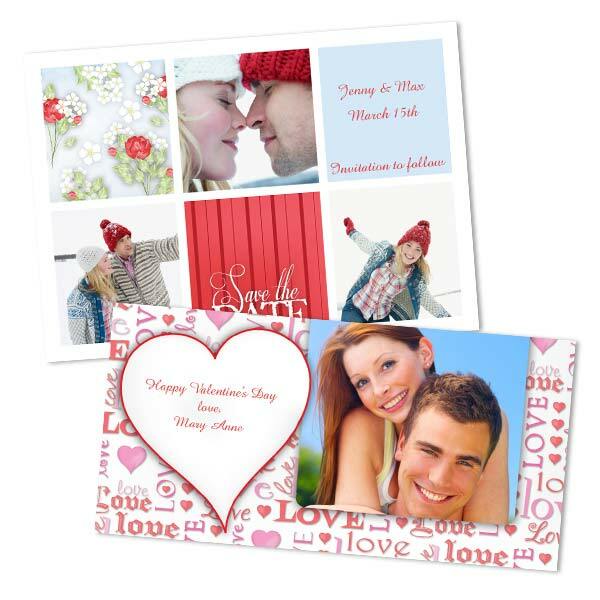 Custom Valentine cards a great way of expressing your love with a personalized touch. Incorporate photos, artwork, and your own personal message with our large selection of card styles, templates, and designs! Upload your old wedding photos, family snapshots, or some of your fondest photographic moments to embellish your greeting with color and character. Adding pictures to your card will transform your greeting into a special keepsake that your friends and family can enjoy for years to come. Furthermore, we offer Valentine’s Day photo books, and custom Valentine gifts to which you can your own personal touches.